Audio software, video software, programs to watch movies, software to listen to music, television software, programs for free download 4Videosoft Screen Capture, DVD to MP4, MP3 Toolkit, Streaming Audio Recorder, ApowerEdit, Apowersoft Screen Recorder, Natural Grounding Player, CORNPlayer, VCT, FF Multi Converter Download for free! »» Free download 4Videosoft Screen Capture! 4Videosoft Screen Capture ::: a computer program that allows users to record video. Using 4Videosoft Screen Capture can record everything that happens on the computer screen. 4Videosoft Screen Capture is a simple, stable, fast and efficient video capture software. »» Free download DVD to MP4! DVD to MP4 ::: a computer program used to convert video. Using DVD to MP4 can convert your movie DVDs to various video formats. DVD to MP4 is a simple, stable and very useful conversion program. »» Free download MP3 Toolkit! MP3 Toolkit ::: a computer program that allows users to work with audio files. MP3 Toolkit allows you to extract audio from CD and audio recording. 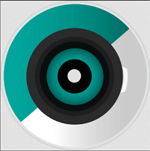 »» Free download Streaming Audio Recorder! Streaming Audio Recorder ::: a computer program that allows users to record audio. Using Streaming Audio Recorder can record audio from different sources, the program can record everything that is played through audio card. Streaming Audio Recorder can save and supports the most popular audio formats. ApowerEdit ::: a computer program that allows users to create and edit video files. Using ApowerEdit, editing video is a much simpler and more efficient job. 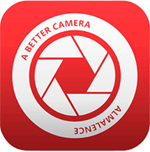 ApowerEdit allows you to apply different effects and offers different advanced editing tools. »» Free download Apowersoft Screen Recorder! Apowersoft Screen Recorder ::: a computer program that allows users to take video screenshots. Using Apowersoft Screen Recorder you can capture everything that happens on the screen. Apowersoft Screen Recorder can record the entire screen, an active window or a fixed area. »» Free download Natural Grounding Player! Natural Grounding Player ::: a computer program used to play multimedia files. Using Natural Grounding Player can listen to music and watch videos in the most popular formats. Natural Grounding Player allows different play modes and has different control functions. CORNPlayer ::: a computer program that allows users to watch videos and listen to music. Using CORNPlayer you can watch movies and listen to music in different multimedia formats. CORNPlayer supports and is compatible with the most popular video formats. VCT ::: a computer program that allows users to convert video files. Using VCT can convert between video files in various formats. VCT also allows conversion between different audio formats. »» Free download FF Multi Converter! FF Multi Converter ::: a computer program that allows users to convert between different media files. Using FF Multi Converter you can convert between different video, audio and image formats. FF Multi Converter is a simple, stable, fast and very efficient video conversion program.